6 a.m. rise and shine! Little did I know how bright the sun would be when I woke up in the morning. Lying comfortably in the shade I got up and before I could fully open my eyes I was quickly blinded by the sun. Falling right back into my sleeping bag, I cursed out loud. I crawled to the front seat staying low and reached for my sunglasses to put them on–much better. As I got a better look to my surroundings I found myself parked with several semi trucks off on the side of the road. Sleeping on the side the the road: what was an orthodox routine for truckers was an adventure to me. I finally pulled out my map to see that I was just outside a tiny town called Cameron. I wasn’t too far from the Grand Canyons, but first I needed to make a pit stop in Flagstaff. At that point in my trip I was in need for a shower. My first priority was coffee though. I knew if I could find a coffee shop, I could find someone who knows where some gyms are. Then I could take shower! Perfect plan. The best resources are the locals. When in doubt ask them. I was half tempted to go to a hotel and wait for someone to check out of their room to use their shower, but luckily I wasn’t that desperate. A friendly barista gave me directions to the Aquaplex. Ahhh the Aquaplex. I paid the $5 guest pass and hit the showers. There’s nothing more refreshing than I nice warm shower after you’ve been on the road for several days. 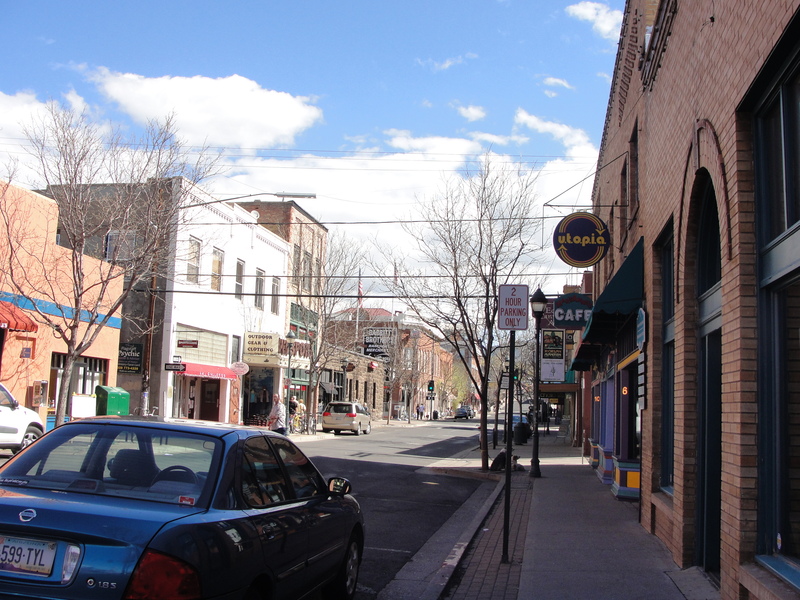 I went on my way to browse the streets of downtown Flagstaff. The more I walked about the more appealing it became. I felt a small close-knit, homey feel in a city of 52,000 people. What I admired most was the great outdoor community it represented. It seemed as if there was an outdoor equipment store on every block. Just outside of F lagstaff were the San Francisco Peaks that made the perfect back drop for postcards. Hiking, biking, skiing– I love cities that are minutes away from the mountains. 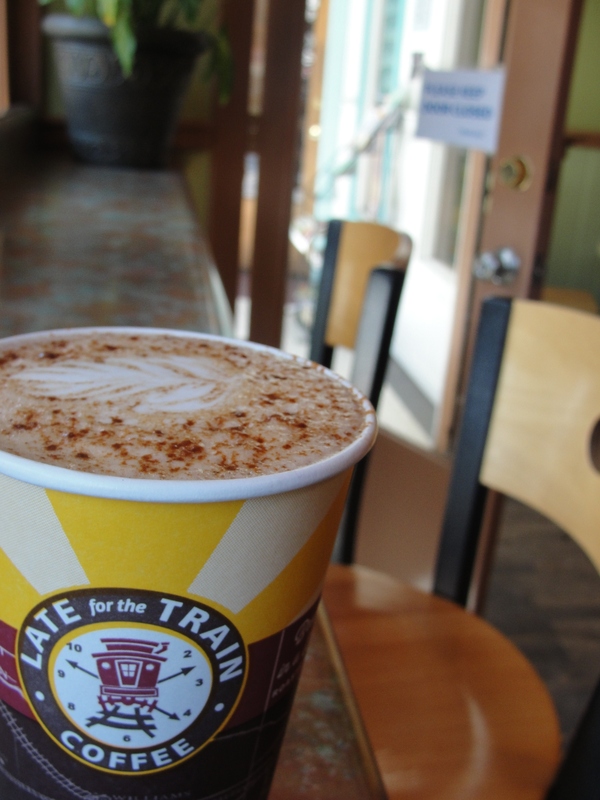 I stopped in at Late for the Train Coffee Roastery where I found out there was going to be a parade in town. How convenient, I thought and what perfect timing! “It’ll start soon and come past here,” I overhead someone say. I found the best seat sitting right next to the front window. I had the perfect view of the parade, watching from the coffee house while writing my postcards. It was a very picturesque moment. I also discovered the Wildflower Bread Company where I bought half a dozen nine grain bagels. I can’t tell you how much I enjoy freshly baked bread. I probably spent more time than I should have in Flagstaff, but the good thing was I was on my own schedule and no one else’s. Plus, I got to see a parade, take a shower, and eat some delicious bread. 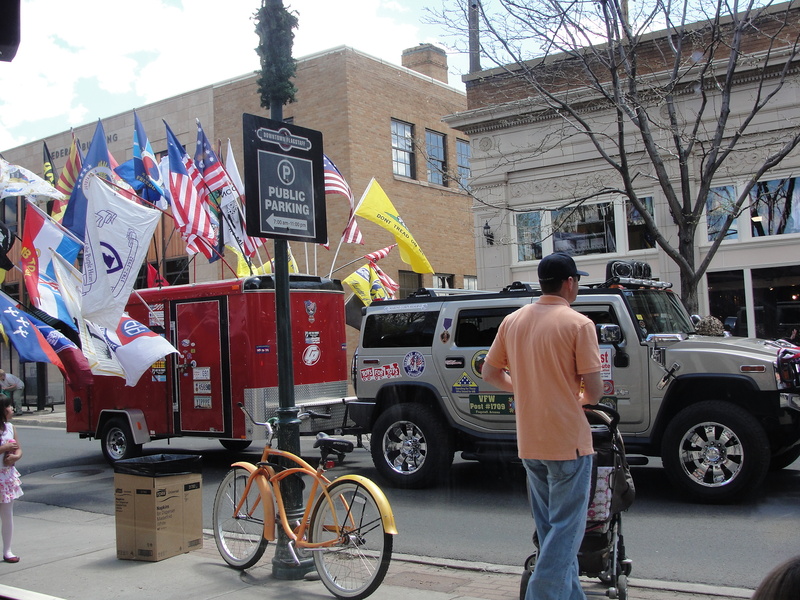 I was very delighted with my visit to Flagstaff. 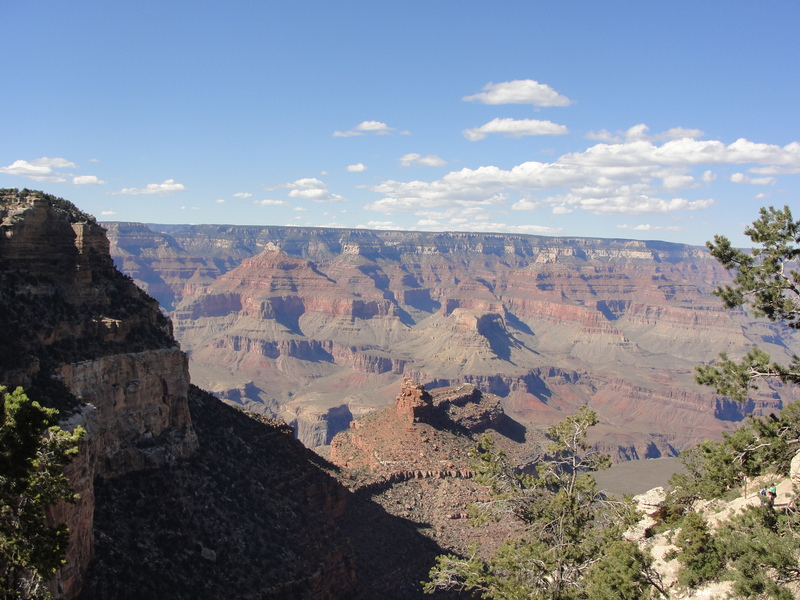 Next stop: The Grand Canyons. So for those of you who actually read this, please bare with me as I learn how to “blog” and thanks! I’m going to play “catch-up” seeing that I didn’t finish my self adventure stories from my recent trip. Where to start…OKAY! 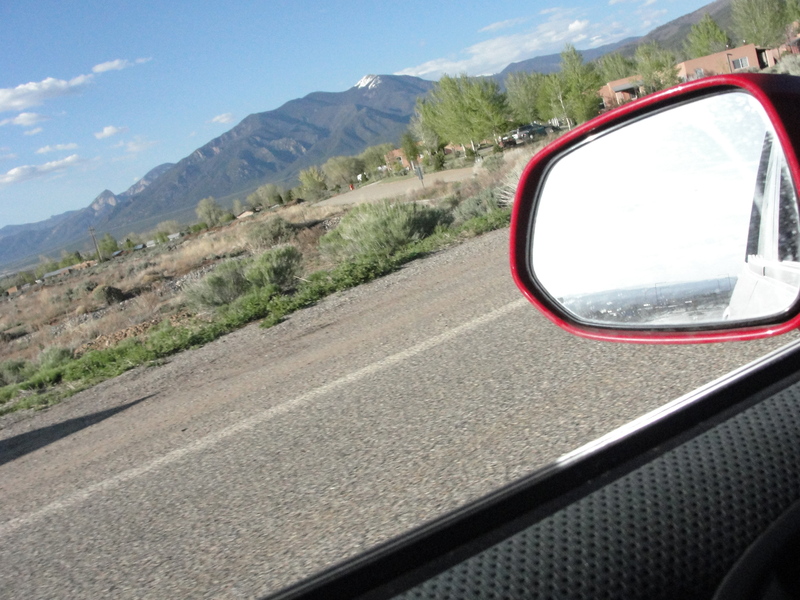 So, the first day I drove all the way from Lincoln, NE to Rifle, CO. There was a wicked blizzard as I was driving through the Rockies. I stopped just outside of Denver to get some coffee. I got out of my car in my summer attire while snow blew up my shorts. Two woman sitting in the drive-thru looked at me such as a typical tourist would be gawked at if they showed deviance. I didn’t care, I probably looked ridiculous, but didn’t feel it. Driving through a crazy blizzard, took me back to winter driving conditions back in January when we got pounded with snow. When I got on the other side of the mountains, it was as calm as a clear summer’s night. In an instant it stopped snowing and everything was green. I could see a baseball diamond all lit up as a little league game was going on. It was one of my weirdest experiences to date. With my bag of bagels and coffee, I kept pushing forward. I ended up in Rifle, CO right around midnight. That night I slept in my car at a Wal-Mart parking lot. Luckily, my mom let me drive her Honda Fit. With the back seat down, I could conveniently lay out in my sleeping bag just as long as I had my legs propped up on my water jug. I found that half way through the night I get very cold and the tip of my nose is freezing cold, so I make a cocoon with my sleeping bag. I woke up around 7am about to pee my pants because I was too scared to get up in the middle of the night and walk across a Wal-Mart parking lot, so I held it in for as long as I could. I hurried up and fumbled around in the little space I had to put my contacts in, search for some warm clothes in my bag, and maybe even put my hair up to look half way decent….ahhh screw it! My bladder was over full and what the hell, who would I need to impress. So, I threw on a hat, drove to the closest parking spot available, ran in and did my business. Close call. After that good morning fiasco, it didn’t take me long to find another Starbucks. Man, Colorado likes their Starbucks. Next stop Moab, Utah! Canyons, desert, mountains. Utah was gorgeous with its red rock and unique rock formations. My goal was to see Arches National Park and Canyonlands National Park. I took the scenic route to Moab, where I made a handful of stops to take pictures of the red rock. At Arches National Park I went to the visitor’s center and that is when I had the urge to buy postcards and send them out to people. This trip made me a postcard junkie, now I love writing them. I know you should keep the message short and sweet, but I was so excited, I crammed as much as I could into what space for writing I had. 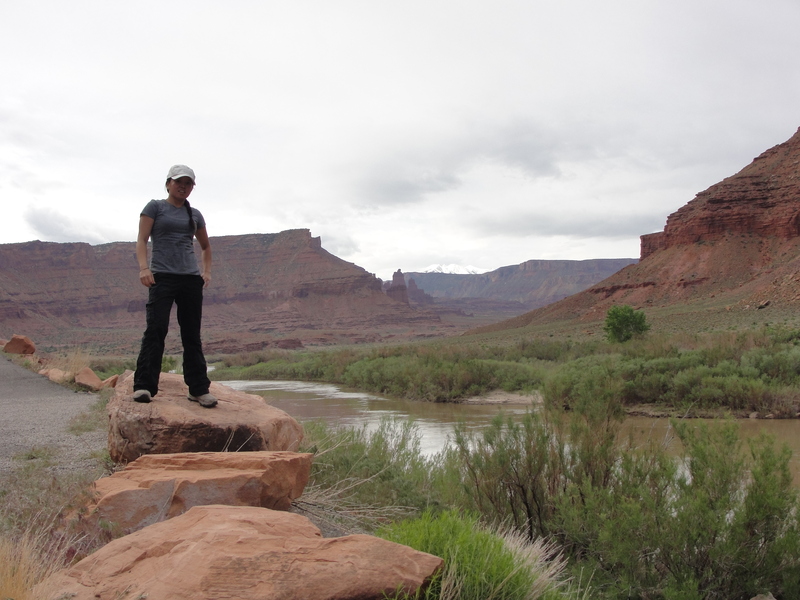 Moab was the small outdoorsy, tourist destination I dreamed it would be. 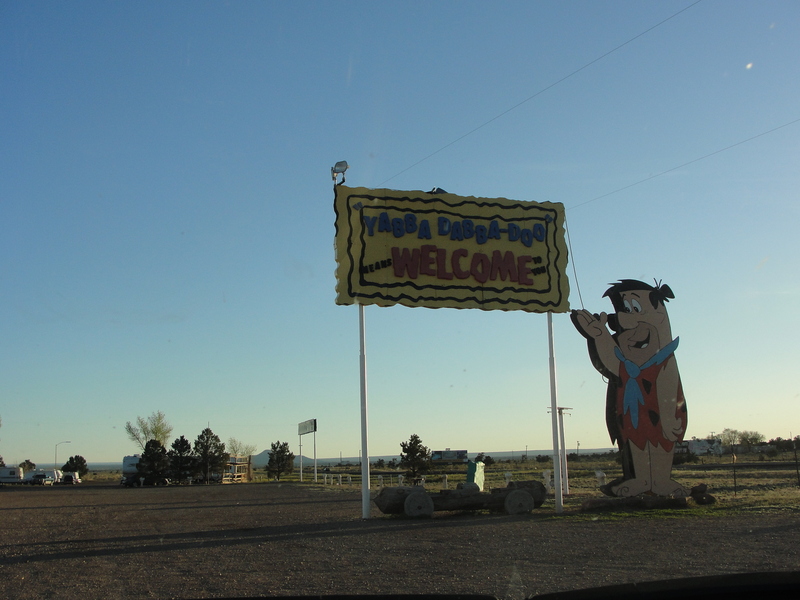 I took a stroll through the town, knowing I had only so much time before I needed to leave for Canyonlands. I remember buying my dad a T-shirt and more postcards–all the sweet outdoor gear and equipment the stores of Moab had to offer would have to wait. It took longer than I had estimated to get to Canyonlands National Park. I had planned to do some backpacking overnight and part of the next morning, but little did I know their areas would be full. That’s what I get for not planning ahead. No big deal. It took me awhile to decide what I should do now. I had about 4 hours of sunlight. 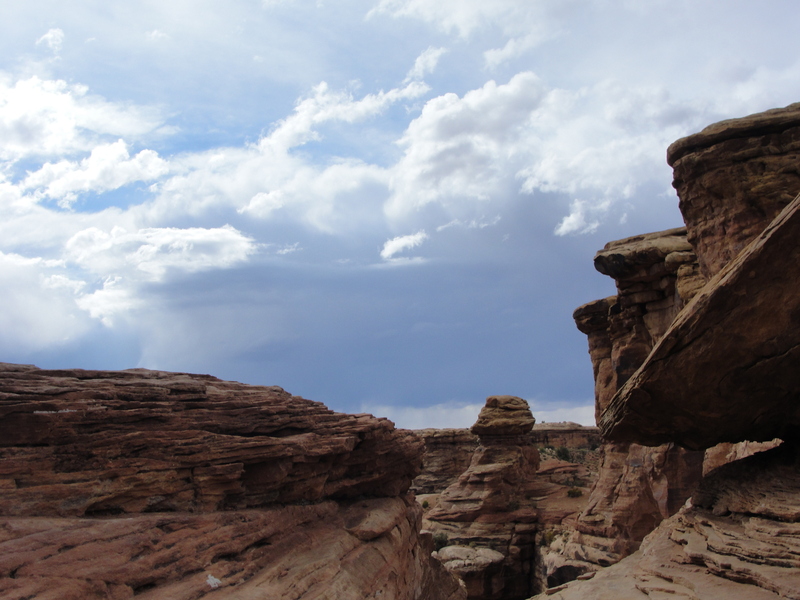 I decided to do a light hike and explore a bit of the Canyonlands, where each new vista I came upon took my breath away. I was parked at a distance from the Needles where I watched a storm come my way. A huge lightning bolt came down, and the thunder was so uproarious that it seemed as if the rocks had rattled on the ground. Drops started to fall in my area and I knew I should get out before I got stuck o n the dirt roads. Driving out of the park was such a surreal experience. Sun light peaked through the scattered storm clouds, the gray slashed lines of rain falling upon valleys of canyons, and the view of mountains at a distance with snow on the peaks, I thought to myself–this is awesome! There was one very distinct field of vision I would compare this to and that is the scene in The Land Before Time, yes the dinosaur animated movie. The scene where Little Foot and his friends find the Great Valley and the sun comes out through the clouds majestically exposing that gorgeous valley. That’s probably the best way I can describe my experience in this sense. 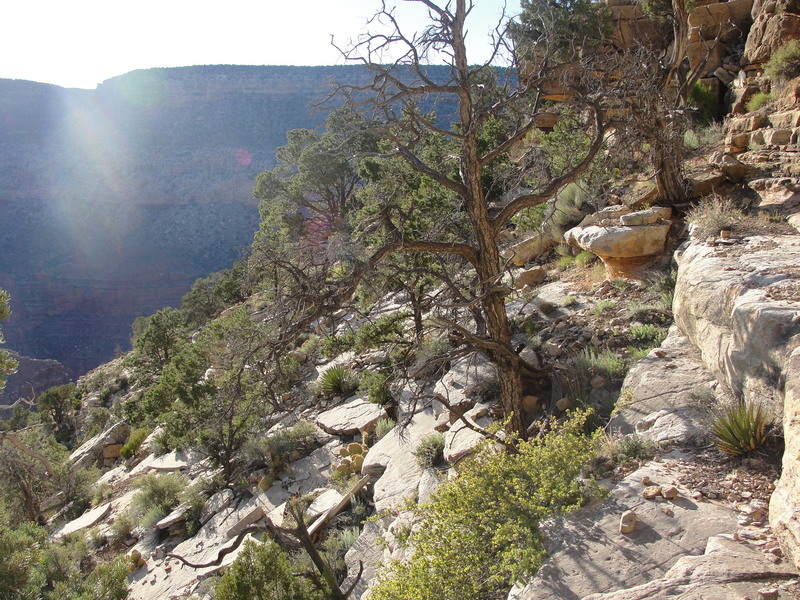 My next destination was the Grand Canyons. I decided I would drive as far as I could, then sleep in my car once again. I had less than a couple of hours of daylight. My farewell to Utah, consisted of 2 hours of driving with the windows down and jamming out to Mr. Ben Folds, Temper Trap, Rogue Wave, and Ray Lamontagne. 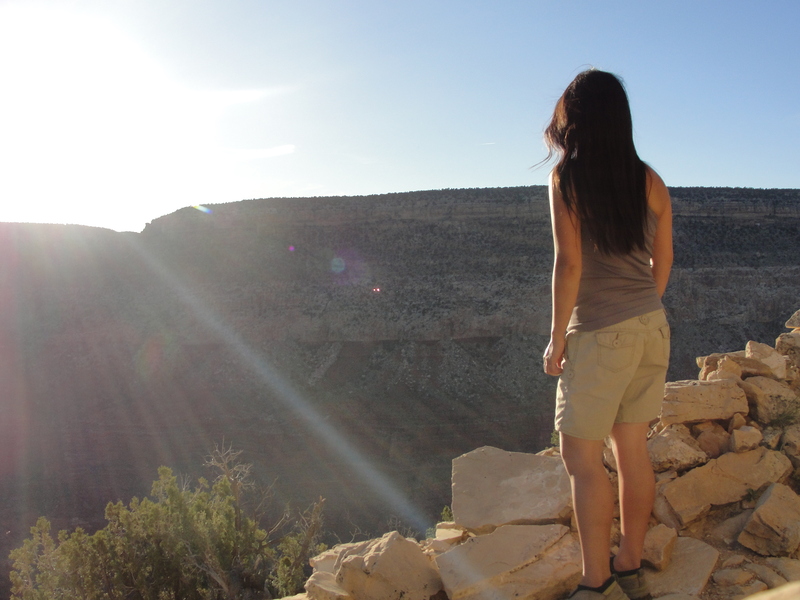 The sun would set quickly behind the canyons in southern Utah. Just before entering Arizona I caught a glimpse of great Monument Valley. The sky was purple and the rock was this glowing orange red color that only a sunset could arrange. It was late and I was getting sleepy so I pulled off on the side of the road in the middle of the Arizona desert. I had made it just past a tiny town called Cameron. I crawled in the back of the car, made my cocoon, and went to sleep for rest of the night hoping I didn’t need to use the restroom.